The Dictionary defines dyslexia as "an impaired ability to read" or "difficulty in reading when experienced by persons with normal vision and normal or above-normal intelligence. It is a developmental reading disorder (DRD) which is caused by the brain's inability to recognize and process symbols. Common symptoms of this DRD include reading words with the letters in reverse order (as in 'fyl' for 'fly'), have trouble rhyming and separating the sounds in spoken words, etc. The International Dyslexia Association defines it as a difficulty with phonemic awareness, short-term memory, and processing issues with a neurological origin. It can affect writing, reading and the pronounciation of words. The result of this learning disability is that academic success could become a challenge, however, with the correct teaching methods, it can become manageable which will enable dyslexics to learn successfully. 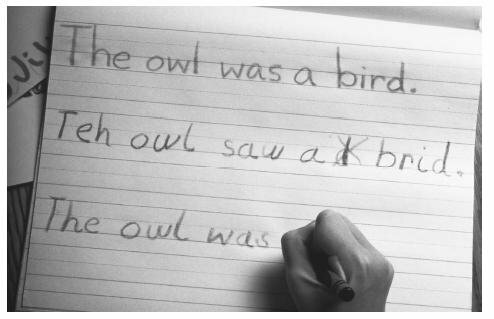 Studies show that up to fifteen to twenty percent of the US population have some symptoms of dyslexia which include mixing up words that look alike, poor reading, spelling and writing abilities, re-arranging the letters in the words, etc. Bearing in mind that this learning disability has little or even nothing to do with one's intellectual ability, a sufferer can still be extremely smart. In fact a person can have a very high IQ and still be a sufferer. This learning disability is said to run in families, yet it is not unusual for someone to be gifted in other areas or academia and yet be significantly dyslexic. The typical signs of this learning disability vary from one person to another. Some of the symptoms include difficulty learning the letters and sounds, difficulty memorizing numerical facts such as times tables and telephone numbers, difficulty determining the meaning (idea content) of a simple sentence, difficulty learning to speak, difficulty comprehending and implementing mathematical operations, difficulty learning a foreign language, etc. A person could easily have one or more of these symptoms. So How Do They Learn? Dyslexic people are visual, multi-dimensional thinkers who are intuitive and highly creative. They excel at hands-on learning, think in pictures, and benefit from multi-sensory approaches to teaching and learning. Multi-sensory approaches are quite simply, focused on as many of the five senses as possible - ie the teaching methods that target the auditory, visual, kinesthetic, and tactile modes of learning. However, we are aware that people who have dyslexia are not typically strong in the area of the auditory, therefore a pure lecturing style will not be to their greatest benefit. For further details please see my page called How is Your Child Smart? Inventive - many inventors have been known to have been sufferers (eg Einstein and Edison) of this learning disability. Able to think in three-dimensions as do architechts. Good at "hands on" tasks and able to mend things. So academics may not always be their strongest point (it often is), but they may have many other areas that they can use to showcase their talent. So parents, help your child focus on their strengths - and they WILL be successful!